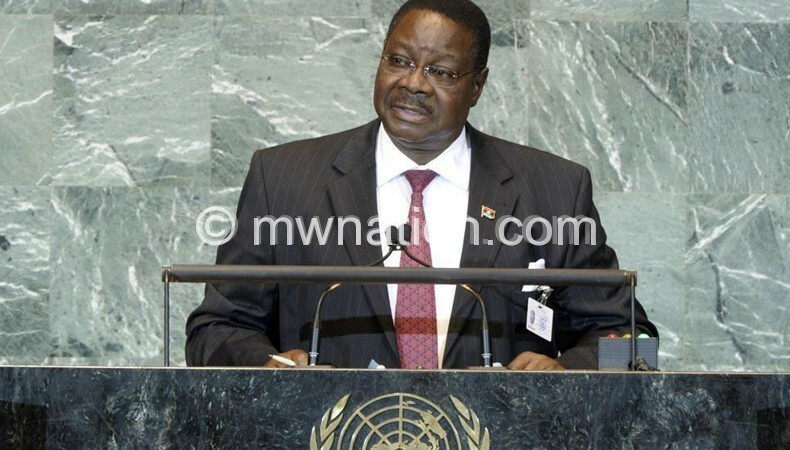 President Peter Mutharika faces growing pressure from women’s groups to increase the number of females in his Cabinet and parastatal boards after the President reduced women representation in his 21-member team from four to three last week. Women Lawyers Association has become the latest grouping to appeal to the President to reconsider his decision on women representation. In a letter delivered through Chief Secretary in the Office of the President and Cabinet (OPC) Lloyd Muhara, the women lawyers also asked Mutharika to rescind the appointment into Cabinet of Charles Mchacha, the firebrand governing Democratic Progressive Party (DPP) regional governor for the South for purportedly demeaning women participating in public affairs and holding a different political view. But presidential press secretary Mgeme Kalilani, while saying the President would attend to the petition, was quick to challenge the group on its objectivity on concerns relating to Mchacha’s appointment. The lawyers’ appeal comes hot on the heels of similar calls by the 50:50 Campaign Management Agency—an institution championing gender equality in elected political positions—which has faulted the President for reducing the number of women in Cabinet. On women representation in crucial bodies, the lawyers described as worrying a trend that fewer women are being appointed as Cabinet ministers or heads of boards for State-owned enterprises and accused Mutharika of violating the Constitution by sidelining women. “The decision to appoint less women is in violation of our Constitution which in Section 13 declares to be a principle of our national policy to actively promote welfare and development of our people pushing for gender equality through the full participation of women in all spheres of Malawian society on basis of equal opportunities with men,” reads part of the letter signed by the association’s president Sarai Chisala-Tempelhoff. In an interview after presenting the petition, she said while the association has not given Mutharika any specific timeframes to address the concerns in the letter. She, however, said as a group, they would continue exploring other options to push for redress on the matter. In its statement released on Friday signed by team leader Viwemi Chavula and ActionAid Malawi executive director Grace Malera, the 50:50 Campaign Management Agency said Mutharika’s action reverses the progress the country has made towards achieving gender equality obligations entrenched in the country’s laws. Reacting to the agency’s concerns through Minister of Information and Communications Technology Henry Mussa, the official government spokesperson, government said people should not only look at Cabinet representation as there are many institutions headed by women. “There is need to look at things outside the box because when we talk about 50:50 campaign, it is not just about Cabinet only,” he said. On their part, the women lawyers further stressed that the Gender Equality Act of 2013 strengthens the need to promote gender equality, equal integration, influence, empowerment, dignity and opportunities for men and women in all functions of society.